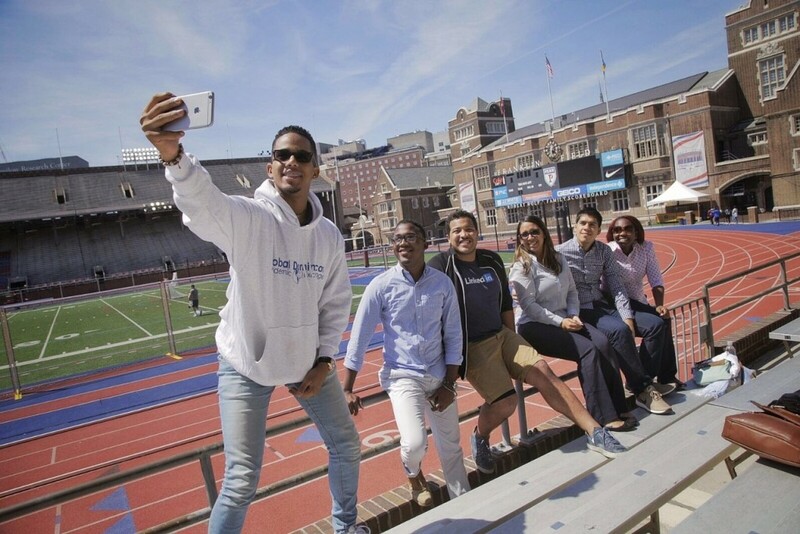 Philadelphia, Pennsylvania – The first Global Dominican Academic Exchange (GDAE) of this year was held in the University of Pennsylvania (UPenn) from Abril 9-16, 2017, in collaboration with the on campus Student Association, Grupo Quisqueyano (GQ), who served as hosts and introduced the Dominicans to Ivy League student life. 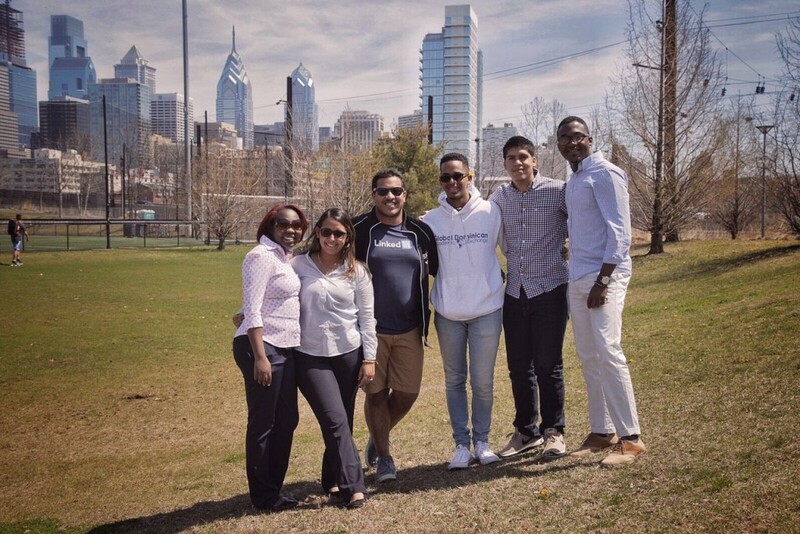 This is the second time that a GDAE group visited UPenn. 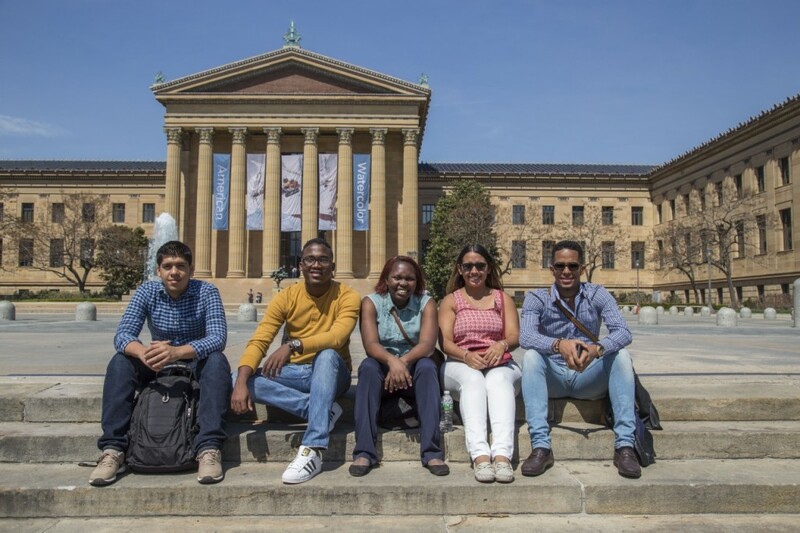 A group of students from different academic backgrounds from the Universidad Autónoma de Santo Domingo (UASD) received a scholarship from the Ministry of Higher Education of the Dominican Republic (MESCyT) to participate in the week-long academic and cultural immersion program abroad. The agenda was action-packed with courses in various subjects such as Social Statistics, History of American Law, Chemistry, Human Rights and Globalization, Management, Calculus and more, depending on the students’ majors and personal interests. 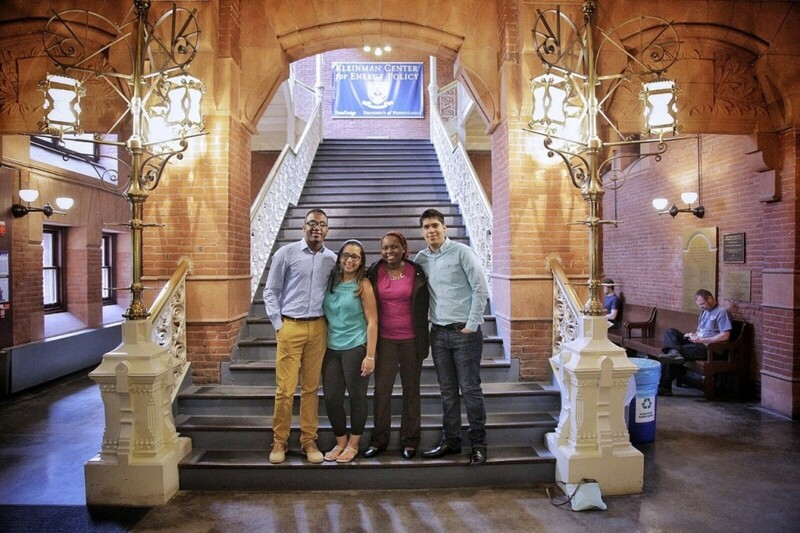 The students and hosts bonded over cultural similarities and discussed current global issues. 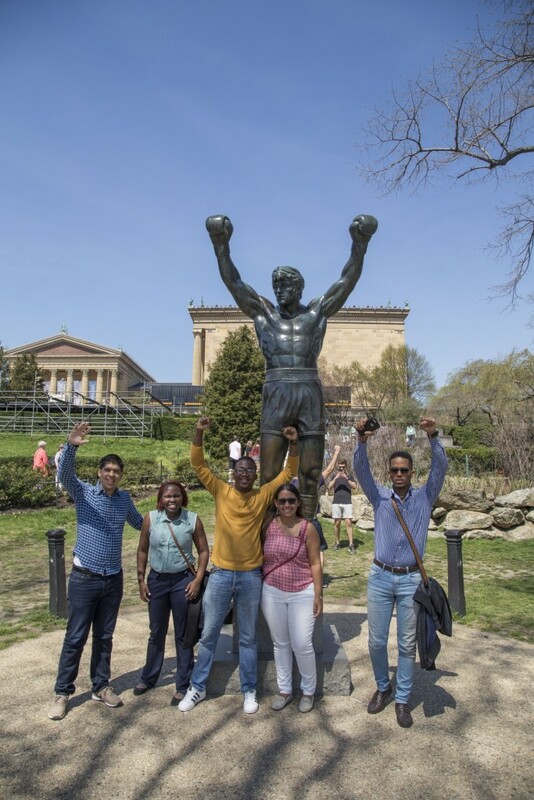 The agenda also included tours of the impressive campus of UPenn and around University City and Downtown Philadelphia, along with tours of historic sites such as the Philadelphia Museum of Art and the Rocky Steps. In addition, the President of GQ, Fernando Fernández, and other GQ members arranged night time social activities, where both students and hosts played dominoes, participated in movie nights; went to a pizza party at the Center for Hispanic Excellence: La Casa Latina, which promotes awareness of Latino issues, culture and identity on campus; watched a performance by the dance troupe Onda Latina, and had a farewell dinner with Dominican food. The group of students also had the opportunity to meet the President of La Casa Latina, Mr. Johnny Irizarry, and during their meeting talked about some of the differences between the education system in the US and the Dominican Republic, as well as social and cultural similarities and differences they had noticed and learned about during the week. 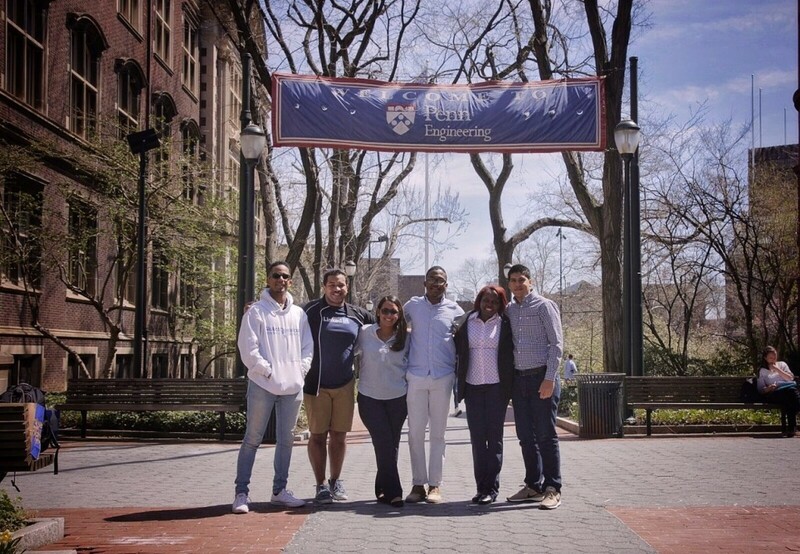 The students also had the opportunity to meet other associations on campus, such as fraternities and sororities and learn more about other initiatives that promote the unity of UPenn students with common interests. The GDAE is a program that organizes a series of topic-specific events of short duration in collaboration with the Dominican student organizations at a variety of United States universities throughout the year. 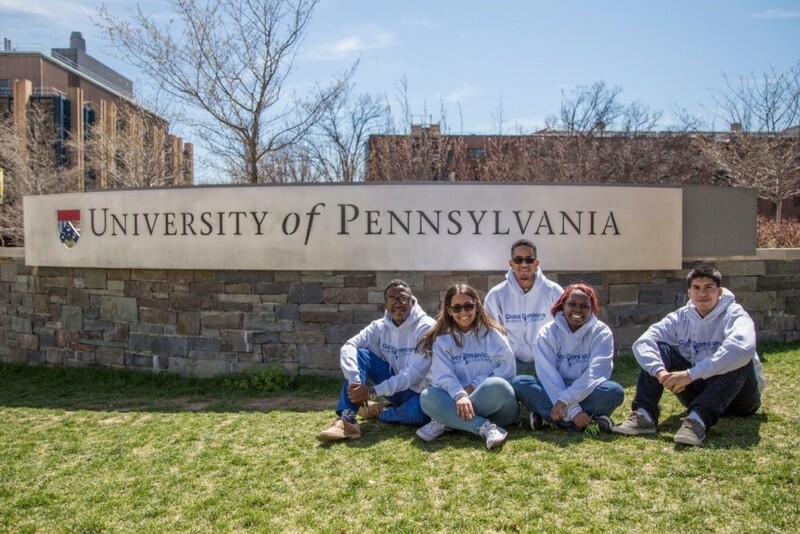 The InteRDom staff works closely with student representatives to plan the activities, and then to recruit and bring students from Dominican universities to participate. Hosting events with different thematic concentrations ensures that diverse groups of Dominican students have the opportunity to participate. The Global Dominican Academic Exchange program, a project of the Global Foundation for Democracy and Development (GFDD) and its sister organization in the Dominican Republic, Fundación Global Democracia y Desarrollo (FUNGLODE), an extension of their internship, research and study program, InteRDom, aims to introduce Dominican students to the American style of liberal arts education and encourage dialogue between Dominican students and their Dominican-American counterparts attending these institutions, thereby encouraging and inspiring partnership and entrepreneurship initiatives which will foster innovation and stimulate Dominican economic development and international understanding.